Howdy dear AppCake users. Long time no see. 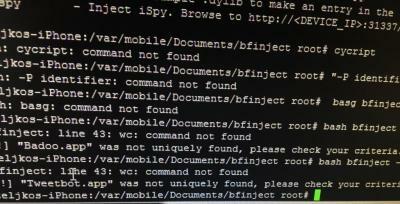 So due to the fact that Cydia has yet to be released, along with many useful binaries, new methods are required to crack/decrypt apps. 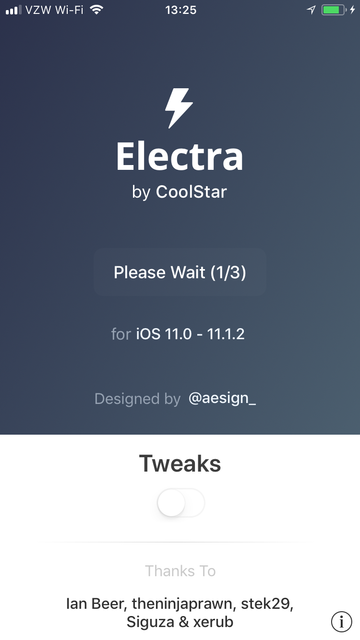 Rasticrac relied on many binaries that Cydia has, and Clutch has been 6-feet under for a while now, so due to that and following some requests I have made the following is a tutorial on how to crack apps using the Electra or LiberiOS jailbreaks. If you are on Electra, reboot your device and re-jailbrake with the "Tweaks" option turned OFF. For LiberiOS, just run the jailbreak. 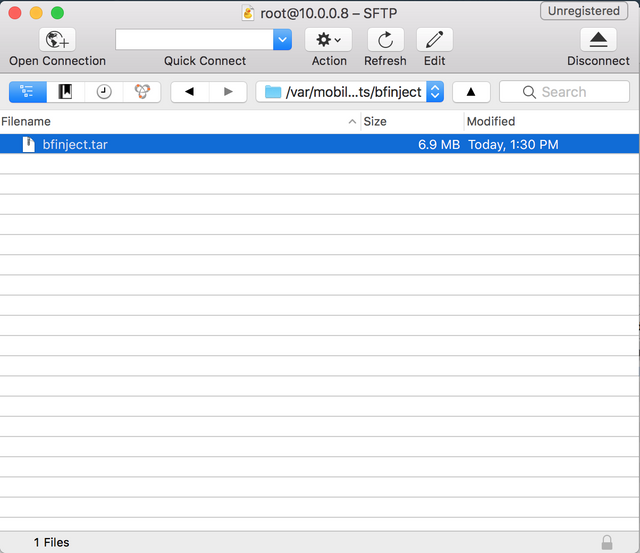 Download and move the bfinject.tar into the bfinject folder, wherever it is located on your iDevice. and log in with your password. alpine is the default password to log in, unless you have changed it which is highly recommended. 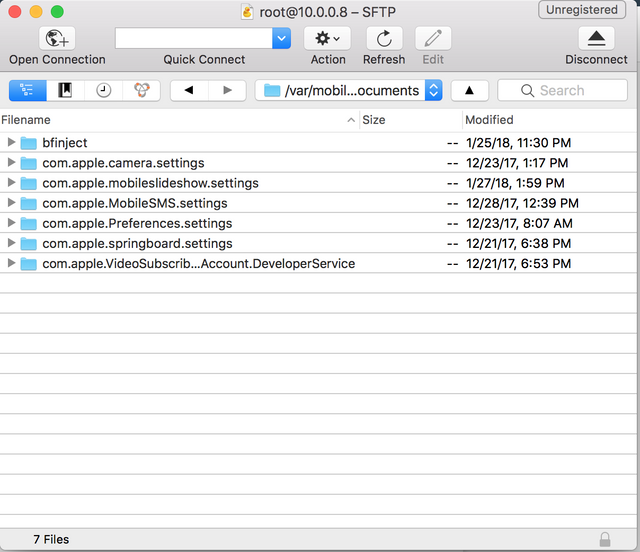 Now your bfinject folder should look like this, and if it is then you are ready for action. The app should start being cracked now. First you will see a floating UIView with "Decrypted" printed, followed by this screen. 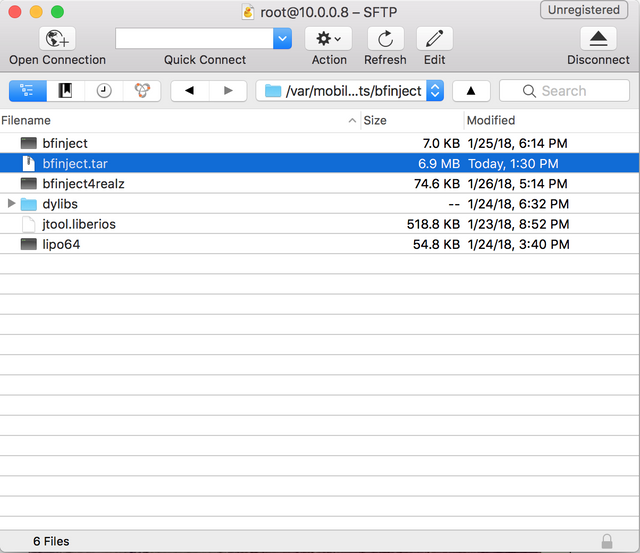 As shown below, you will be presented the file location of the decrypted .ipa, and you can then transfer it from you iDevice on to your Mac/PC into your .ipa stash in preparation for Appsync to finally be published . 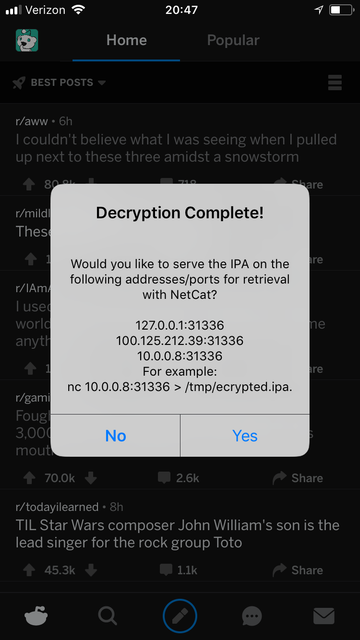 Make sure to delete the decrypted-app.ipa on your iDevice so that if you crack new apps you won't be confused by different cracked apps. i would presume bfinject cracks apps as arm64 so would be unusable on 32bit devices ? pretty good tutorial, thanks for sharing. Not seen one ios 11 app cracked yet??? I don't have enough time to crack a bunch of apps. I have college and work, but you might see some apps being posted. The reason not many people are doing this is probably because of the lack of an installer. I'm thinking about updating ipa-installer and seeing where that will lead. problem is lack of appsync. otherwise cracked apps need to be manually loaded and not for the newbie. 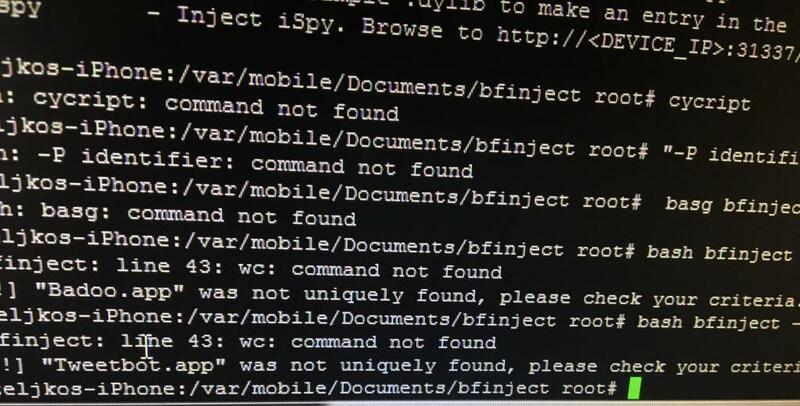 You’re missing the command file “wc”. Same thing happens to me, but my missing file is “ps”. You need to automate it if it's complicated. I installed ldid in Cygwin on Windows, then created a batch file to process the ipa. If I want to sign (or resign) an IPA for us on a 11.x device I just drop it on the batch file and it does the whole lot for you ... takes a few seconds. I can post the batch file if it helps, but you'd need to set up the cygwin/ldid environment.